Community Engagement is a critical step for the development of sustainable community energy projects that has often been missed in the implementation of community scale renewable energy projects in Malawi. An innovation within MREAP’s Community Energy Development Programme (CEDP) which was led by the Scottish Charity Community Energy Scotland was to invest significant time in training and building the capacity of the communities that were involved. This is based on the observation that communities that are better trained are better prepared to manage and operate their projects. However, effective training is only one part of the overall capacity building process. Securing community buy-in, providing project and domain awareness to the community and building up a permanent local support network are all critical to fully support the project. 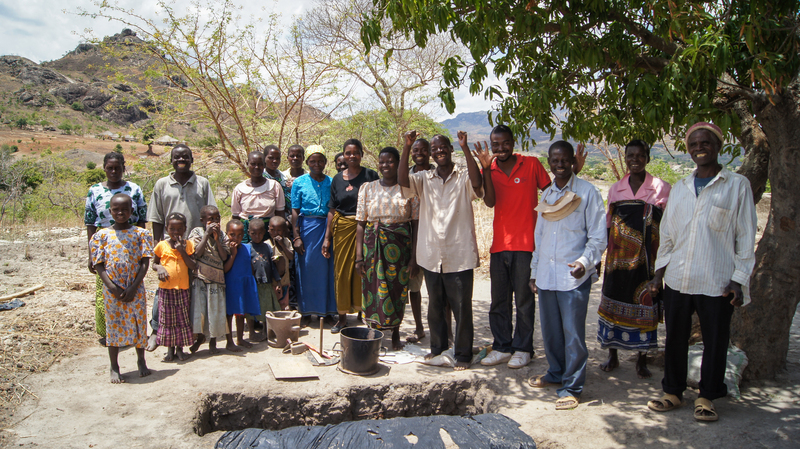 Unlike many past projects in Malawi, the development officers at CEDP worked with the communities for over 1 year to provide training that was tailored to meet the knowledge gaps of the community in the run up to project installation. The culmination of this effort was symbolised by the community completing and submitting an application for funding with the support of the development officers. The application forms required the submission of a business plan based on a revenue generation activity (such as mobile phone charging) to be considered for funding. This was to ensure that the projects would have future funds available to adequately maintain their systems. It is unlikely that the rural communities, who knew very little about renewable energy, would have been able to submit a strong application without the ongoing training and support provided by the CEDP Development Officers. Pre-Project Development – The main focus of this stage is to consider what the project is looking to achieve as well as notifying and seeking input from the relevant local authorities including the District Commissioner, District Director for Planning and Development, District Executive Committee and District Environmental Sub-committee. The project would not have been able to operate without the approval or buy-in from these bodies. Sensitisation – This stage is often overlooked but is essential to project success. This stage involves selecting a suitable group to take part in the project. The CEDP worked with Community Based Organisations (CBOs) which were selected based on (amongst other factors) financial management and controls that were in place, willingness to make a community contribution and their enthusiasm. Development Officers carried out a needs assessment to ascertain what the priorities were within that community and a baseline energy audit to assess energy use in the community. Development Officers then introduced renewable energy technologies and supported the community to choose a renewable energy technology to address local needs. Finally, the CBO was supported to elect an Energy Committee from local people who would oversee the development and operation of the project. Pre-Installation – At this stage skill and knowledge gaps in the CBOs were assessed by Development Officers and tailor made training programmes were made to address these. Each CBO went on a “learning journey” to visit a community energy project to promote further learning and to learn from their peers which we found was a very worthwhile exercise. CBOs were then supported to develop tenders for the installations as well as developing business plans that would generate sufficient income to cover ongoing costs of the systems before submitting an application for funding. Before funding was approved the communities needed to raise a proportion of the capital funds locally to ensure community buy-in to the project. Project Implementation – Finally the systems can be installed! Each CBO was supported through the installation process by the DO who was on hand to support liaison with the contractors and ensure regulations were adhered to. Maintenance and Project Aftercare – Each CBO was supported to develop a comprehensive monitoring and evaluation strategy to measure the impact of the installations. Development Officers are providing ongoing support to CBOs as operate their income generating activities and address any issues with the system.